Click here if you want to add our famous pre-spotter for $6.86? : Yes, add a prespotter please! Soap Nuts Deseeded are one of the most effective natural cleaners on the planet. They are actually a berry that contains a natural surfactant called saponin that helps remove dirt and grime from just about anything. That’s one of the reasons that soap nuts have become such a popular laundry detergent. They have a number of great uses for cleaning around the house though and you certainly do not have to limit their use to just laundry. A few soap nuts deseeded and water make a fantastic all-purpose cleaner, and they are a fantastic way to remove many of the toxic chemicals used in many name brand laundry detergents and household cleaning products. These $ave You A lot Of Money! Our Soap Nuts cost less than half as much as the toxic polluting chemical based detergents like Tide. They save you money over name brand laundry detergents because you reuse them up to seven times before you need to replace the soap nuts with fresh ones. These are the Highest Quality Deseeded Soap Nuts You Can Buy! Our Soap Nuts are the highest quality you can buy. We only use the finest Sapindus Mukorossi and they are always professionally deseeded. We only sell them by the weight, so you know exactly what you are getting with every bag you order. Our high-quality soap nuts deseeded work in all types of washing machines, including all new high-efficiency machines. They are hypoallergenic and safe for people with sensitive skin and babies. We have never had a single report of anyone getting a rash or allergic reaction from using soap nuts. You can clean your clothes without worry about rashes or skin irritation anymore. 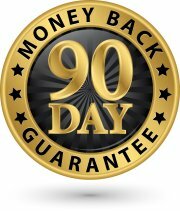 We guarantee that you will love our Soap Nuts Deseeded 250 Gram Bag and you can return it with no hassles for a full refund if you are not satisfied for any reason within 90 days. We also offer free shipping on any order over $50. So it is easier than ever to remove a common source of toxic chemicals and known human carcinogens from your life and still keep your clothes and home fresh and clean. You Can Switch To Soap Nuts For The Money Savings Or To Protect Your Health. Just Switch! Ditch the chemical and carcinogen filled laundry detergent you used to use today. Replace it with Mother Nature’s answer for clean, soft clothes: soap nuts. 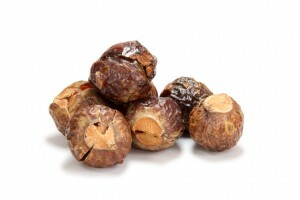 Also called soap berries, soap nuts contain natural, gentle cleaning agents that do not irritate your skin or scalp. They are a safer, more natural way to clean and soften your clothing. What’s more, they are more economical and get you more loads than detergents for a lot less money. Experience clean, chemical and toxin-free clothing today!